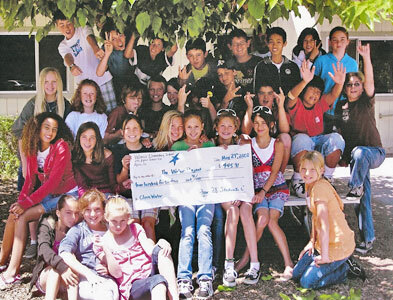 5th and 6th Grade students from Valencia Elementary School in Aptos, California raised enough money to fix a well in Zambia. They produced their own public service announcement for TV and held a fundraiser during their class open house. As a team, they restored old bicycles and raffled them to fund a well. They are our heroes for not only raising money but telling the story of water too. They’re changing lives and making a difference.